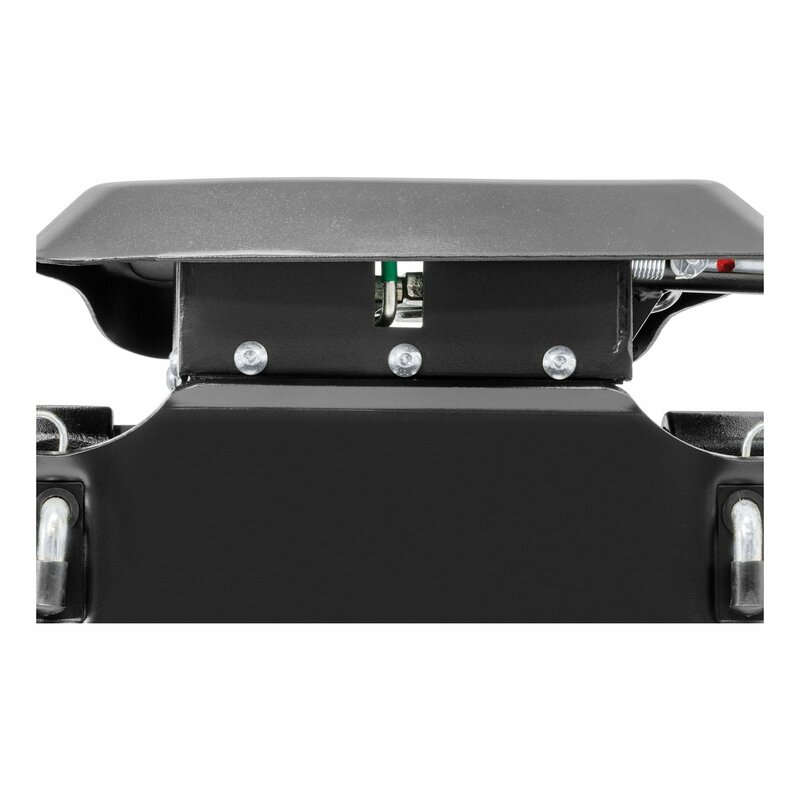 As a special class of weight distributing hitches, fifth wheel hitches are superior to standard ball hitches when it comes to towing heavy and large trailers. In order to safely haul formidable loads such as fifth wheel trailers, you must use a fifth wheel hitch and a good one at that. You cannot settle for a mediocre product since the hitch is the critical link between your truck and your trailer in towing operation. That means the hitch has a considerable impact on the towing safety and your well being. For most of the time, buying without proper consideration is strongly discouraged because you may end up with a hitch that could barely match your need. 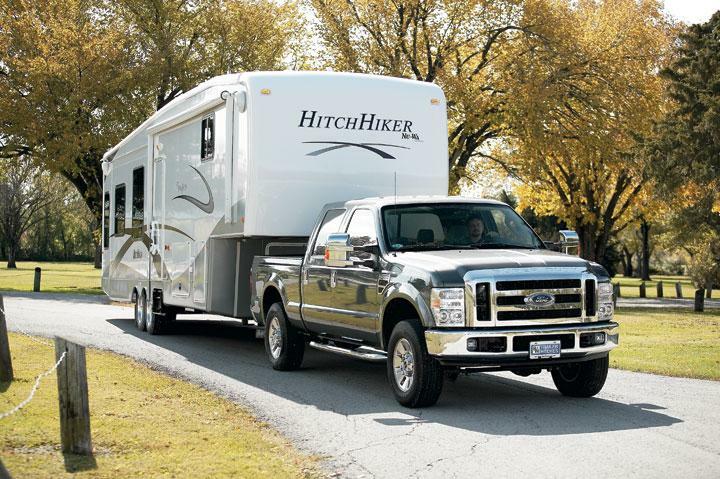 In the case you don’t know a lot about hitch, this article could help you pick the best fifth wheel hitch for your setup. A couple of excellent models along with their capabilities and reviews are listed below. By reading these fifth wheel hitch reviews, you should be able to understand the specifications and function of fifth wheel hitches in general. You would be provided with a step by step shopping guide as well so you would get the most out of this investment. Possessing excellent strength and endurance, B&W Companion RVK3500 is widely considered to be the best fifth wheel hitch for long-haul trips. The hitch fully articulating head convenient permit side to side and front to back pivoting which mean you could maneuver without trouble in tight spaces. Thanks to the versatile B&W Turnoverball system, now you could tow both fifth wheel and gooseneck trailers with the same hitch. To provide the user with a quiet and rattle free towing experience, the B&W hitch manufacturer incorporates Polyurethane bushings into their products. As a result, B&W Companion RVK3500 generates little to no noise in operation and that is a good new to your ears. The no-hassle installation process of the B&W hitch allows you to get it in place without too much difficulty. Not exactly a light hitch. Compatible with pretty much all industry standard rails in service, Andersen 3220 is the best fifth wheel hitch in term of handling characteristics. 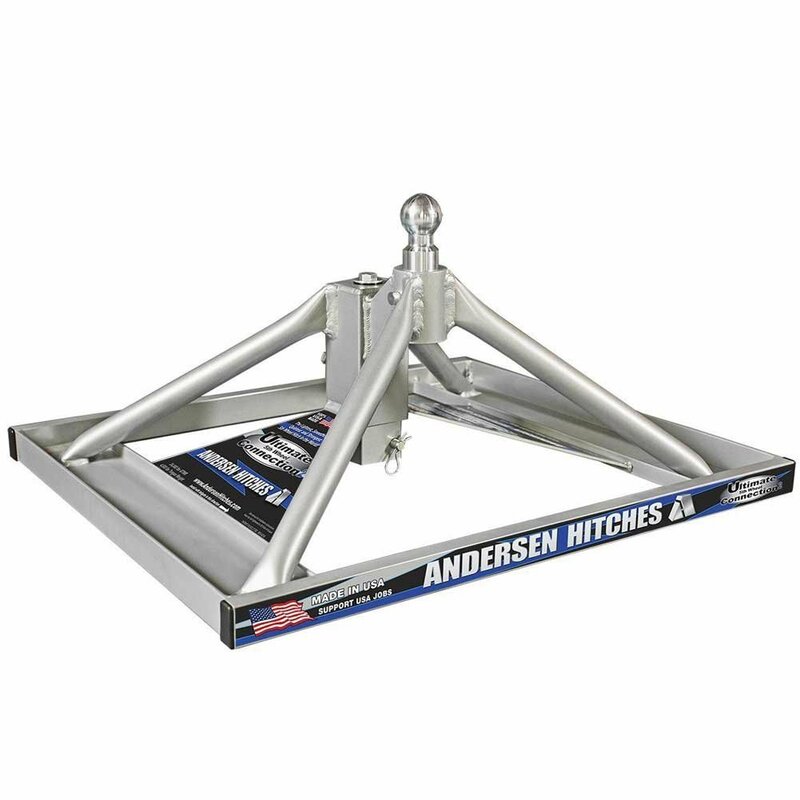 At a weight of 35 pounds, the Andersen hitch is fairly light compared to other products so you could attach/remove the hitch in less than a minute without much difficulty. For the installation process, you should be able to finish installing the hitch in 5 minutes or so which is quite fast. A couple of height adjustments are available for you to choose: Low (16.75 inches), Middle (17.875 inches) and High (19.125 inches). With a trailer weight rating of 24,000 Pounds and a tongue weight rating of 4,500 Pounds, Andersen 3220 is capable of handling the average towing operations without trouble. The use of high-grade aluminum keeps the hitch body light and the material offers excellent structural integrity as well. Finally, the affordable price tag of Andersen 3220 makes it a good choice if you are shopping on a tight budget. 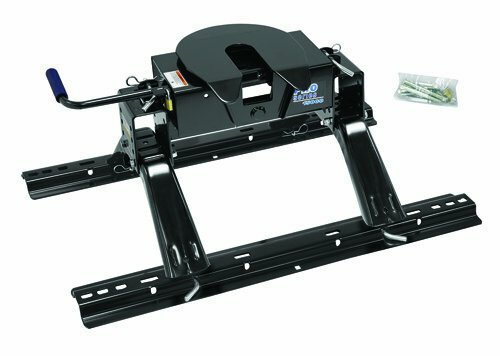 In the fixed towing hitch category, Curt 16130 is well appreciated by many due to its robust mechanism and quiet operation. A lot of Curt hitch reviews have considered the hitch to be a prime example of the brand Q-Series. The Curt hitch possesses a spherical axial bearing and a unique pivoting mechanism which ensures a smooth towing experience. To keep everything lubricated, Curt 16130 comes with three-grease fittings which make it simple for you to apply lubricating agents. In addition to that, an efficient polyethylene lube plate is also present so you don’t have to worry about messy grease residue and alike. Covered in high-quality carbide powder coat finish, the hitch could handle weather factors and outdoor elements with relative ease. Some common Curt fifth wheel hitch problems are properly addressed in this model. The packaging is barely acceptable. 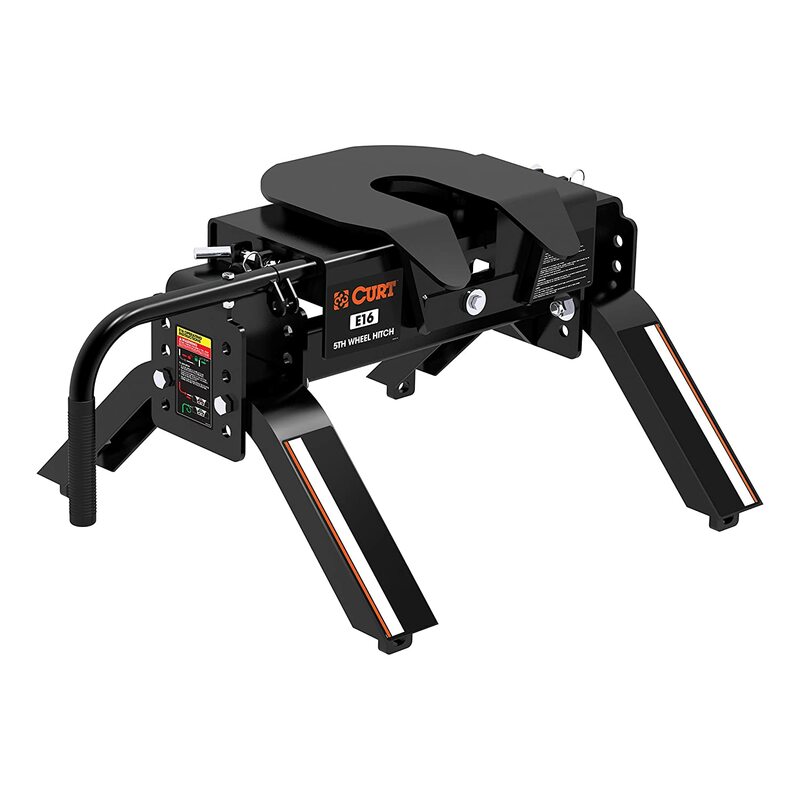 While its weight ratings are unimpressive, Curt 16115 E16 is nonetheless a quality and economical choice for people in need of a good 5th wheel hitch. A combination of the anti-rattle skid plate and rubber stoppers keep the noise down while the hitch in use. Because the hitch automatically locks, the coupling process could be done much faster and more secure compared to normal hitches. The hitch operation is controlled by a single handle keep things simple and straightforward. Featuring a dual-pivoting head with 10 inches of lateral movement, Curt 16115 E16 is able to deliver a relatively comfortable ride. The hitch is compatible with a wide range of mounting setups such as industrial base rail, Curt X5 adapter, OEM legs and rollers,…Therefore, you would have an easy time attaching and manipulating the Curt hitch without fail. 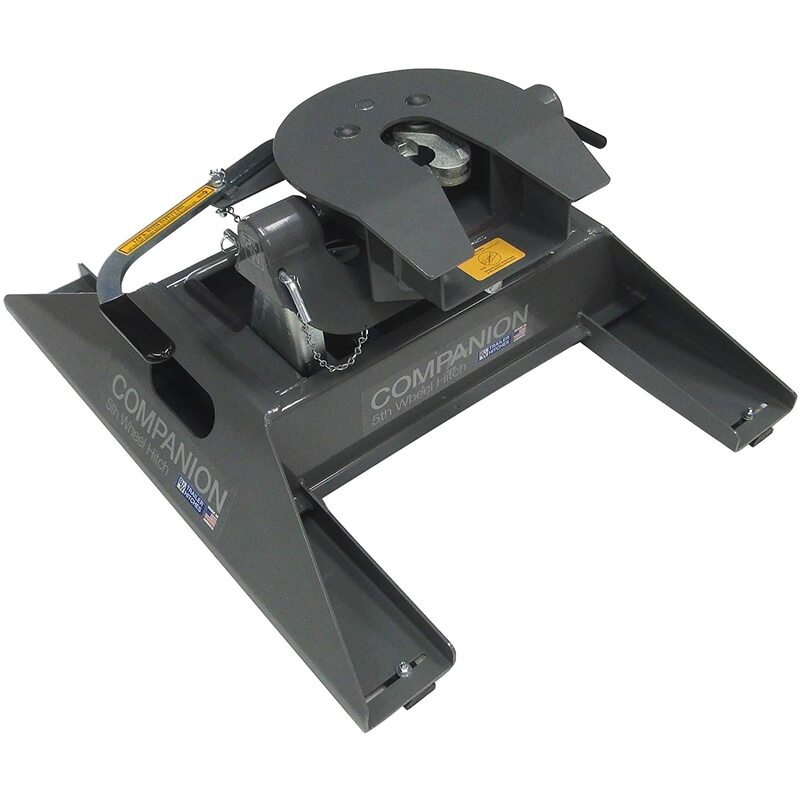 Featuring a rounded slide bar jaw mechanism that provides automatic latching, Pro-Series 30056 is the best fifth wheel hitch when it comes to coupling convenience. The hitch skid plate pivot side by side by 5 degrees which mean you could hook up the hitch in rough terrain without problems. Due to the stable wide stance one-piece legs, towing stability is excellent in a wide range of road conditions. In term of installation, Pro-Series 30056 is delivered along with a mounting kit so you could attach it to the truck bed in no time. At a weight of 75.5 Pounds, it’s light enough for you handle the hitch installation/removal on your own. While its features are quite similar to other products, the competitive price tag of this Pro-Series hitch is well received by customers. 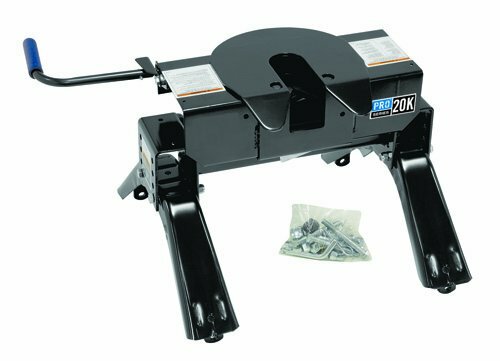 As an automatic sliding 5th wheel hitch, PullRite 2900 SuperGlide is highly regarded by many 5th wheel hitch reviews. With this PullRite hitch by your side, you no longer have to worry about tight turns which considerably simplify the towing operation. It’s superior to manual sliding hitch because you don’t have stop and adjust the hitch before each tight maneuvers. Come with a gear driven rotary latch, PullRite 2900 SuperGlide provides excellent stability through a variety of terrains. If you don’t like to use a complex trailer tow hitch with a cumbersome tow bar, this hitch is for you. The fifth wheel coupling automatically moves the trailer 14 inches away from the truck cab while turning which significantly improve towing safety. 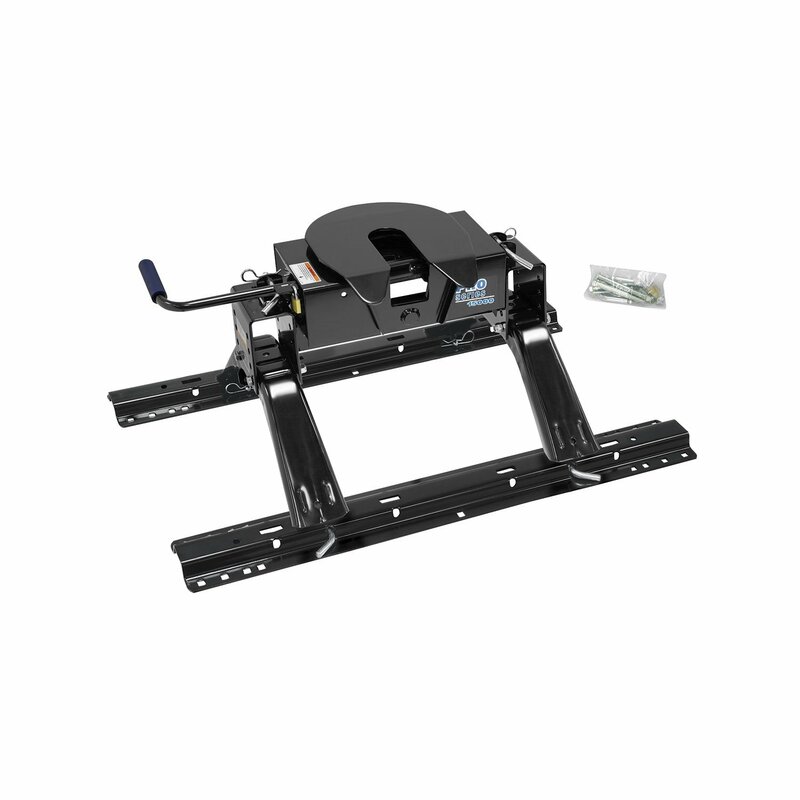 Designed with simplicity and reliability in mind, Pro Series 30128 is viewed by several 5th wheel hitch reviews to be quality short bed 5th wheel hitch. In otter to match the height of different trailer, vertical adjustments are available between 13 and 17 inches. Similar to other Pro Series products, this Reese 5th wheel hitch possesses a 4-way pivoting head which simplifies the coupling process on tough terrain. Beside the hitch itself, you would be provided with a quality 10-bolt rail kit when you buy a Pro Series 30128. The kit should provide the hitch with a stable and secure setup as long as you install it correctly. Since the Pro Series hitch comes with an improved sliding action, it would work well on virtually any short bed trucks you could think of. 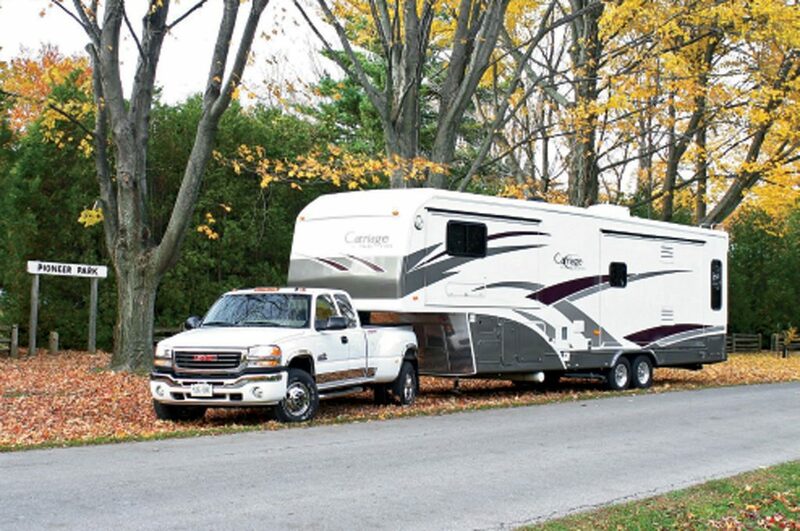 While in operation, the hitch is quiet and jerk-free which make your towing trip much more comfortable. Able to match OEM hitch platform, B&W Companion RVK3300 is an excellent hitch for Ford pickup trucks. The two-piece design of the hitch allows simple and fast installation/removal depend on the situation. The locking jaw is 1 inch thick which is able to provide consistent performance as time goes by. In term of weight ratings, the hitch has a 20,000-pound GTW and 5,000-pounds VTW, sufficient for conventional operation. Thanks to the fully articulating head, B&W Companion RVK3300 permit side to side and front to back pivoting. Therefore, you could operate the hitch without much trouble on uneven surfaces. The handle is also simple to manipulate which provide the hitch with commendable handling characteristics. 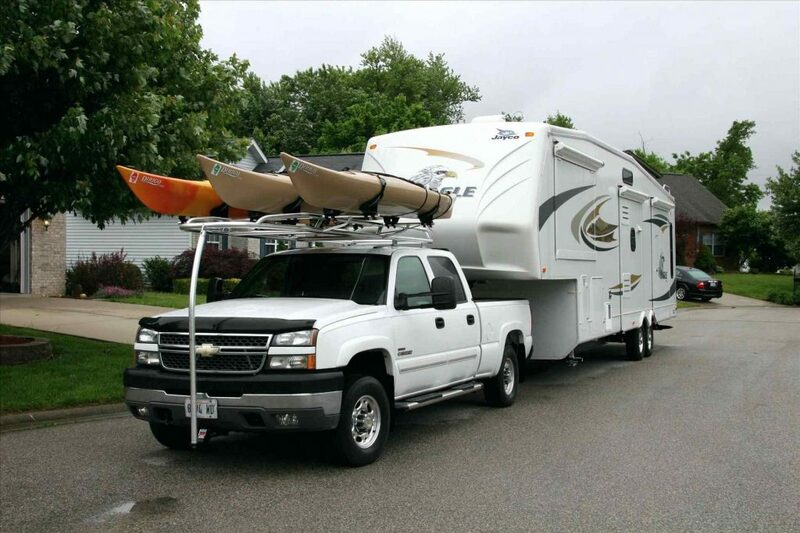 There is no need for mounting rail and that means you could use your truck for other tasks besides towing. Easy to install and operate, Pro Series 30119 is the best 5th wheel hitch for you if you are using a long bed truck. The hitch full floating head permit simple hookup on a wide range of surfaces. For security, the jaw handle of the hitch possesses tab so you could secure everything with a padlock. If needed, the hitch could be removed in a blink of an eye for full bed access. To reduce the wearing rate, Pro Series 30119 features a double jaw design that surrounds the kingpin. Because of the one piece leg and its wide stance, the hitch offers admirable stability to the average towing operations. Optional accessories are available for purchase such as a 10-inch lube plate, a universal rail kit and quick install brackets. In order to understand fifth wheel hitch reviews, you also need to learn about types of hitches. As you may already figure out, there are different types of fifth wheel hitches with different constructions and purposes. This means the best fifth wheel hitch to someone else may not work nearly as good in your setup which is why you must not rush your purchase. That being said, now let’s takes a look at several popular fifth wheel hitch types you can run into and their characteristics. A conventional type utilized by standard fifth wheel hitches, it should perform well on the average towing condition. The phrase “2-way” indicates the number of directions the hitch can move which are aft and forward. If you have to drive through uneven and rough terrains, you should definitely go for towing hitches of this type. Similar to “2-way” in 2-way Pivot Head, the phrase “4-way” also states the number of directions the hitch can move which are aft, forward and side-by-side. Come with a single jaw, hitches in the category are simple to attach and operate which considerably enhance the user convenience. It’s considered to be the most popular choice for luxury trailers. By surrounding the kingpin with its jaws from both directions, Double Jaw towing hitches offer top-notch stability. As soon as the kingpin slides in, the jaws would close and hold it tight. These towing hitches come with a specialized installation rail that utilizes pre-existing factory drilled holes of a particular vehicle. While this feature would let you get the hitch in place faster and easier, a vehicle specific hitch is mostly suitable for the model of truck that it’s designed for. In contrast with Vehicle-Specific hitches, hitches with universal installation rails are compatible with pretty much all common towing setups. However, you may have to drill a couple of holes through the truck frame in order to install the hitch. 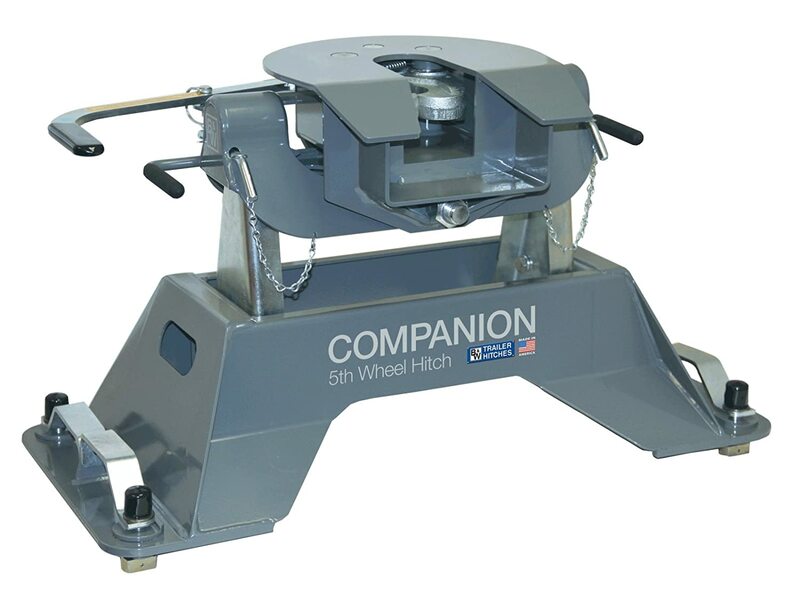 As a result, installing a universal installation fifth wheel hitch could cost you a good amount of time and effort. In the case your towing vehicle is a short bed truck, you should not use a random 5th wheel hitch. As mentioned above, normal towing hitches are unable to prevent the trailer from slamming into the back of your cab in tight turns. This annoying issue makes it necessary to use a sliding hitch for short bed trucks and manual sliding hitches are your best bet. They are affordable, simple to operate and have robust operation though you have to adjust them by yourself each time you make tight turns. 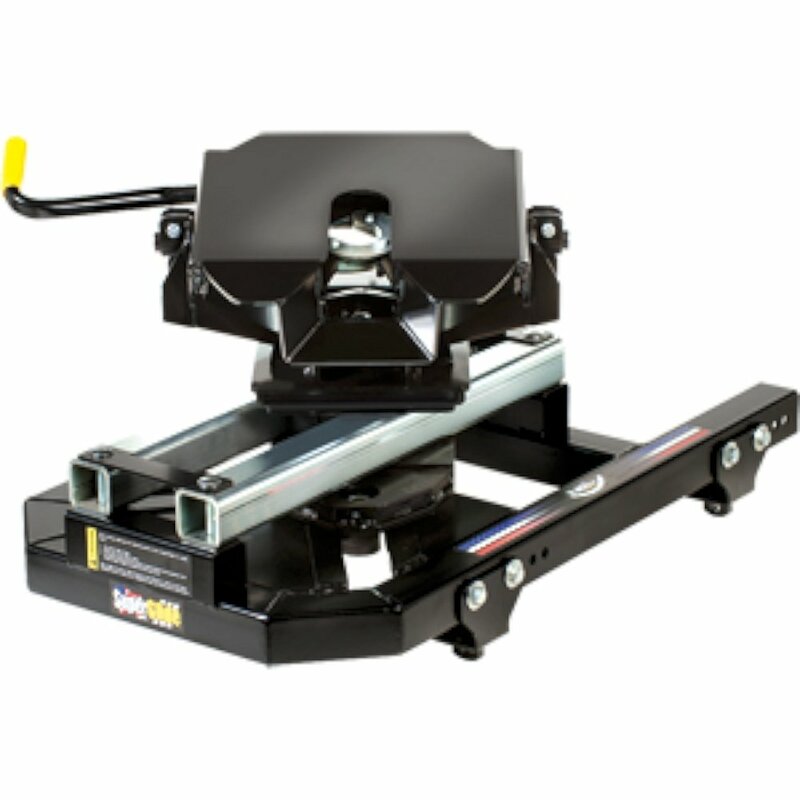 If you are able to invest for quality and want something more convenient than Manual Sliding hitches, you should consider getting an Automatic Sliding hitch. The type is compatible with all short bed trucks and one of its primary advantages is that you no longer need to manually prepare the hitch before each tight turn. The best 5th wheel slider hitch is also a product in this category. While you could have your hitch installed by professionals, it’s totally possible to do it on your own as well. For most of the time, an average 5th wheel tow hitch should come with a step by step installation guide. All you have to do is to follow the guide and everything should turn out fine. In general, the mounting process involves securing the hitch frame rails and attaching the hitch body. You don’t have to be an experienced mechanic to install a 5th wheel towing hitch though you still need to exercise caution. One minor mistake here could cause the fifth wheel coupling to fail without warning and that is dangerous. To keep the hitch in optimum condition, it’s necessary to lubricate its component everyone in a while. Engine oil and spray lube should be able to lubricate the moving parts of a conventional heavy duty towing hitch. Before you apply a new layer of lubricating agents, you should first remove the remains of the old one. You could also use plastic lube plate if you want though you need to ensure there is enough space for it. To ensure towing safety, you should inspect the state of the hitch frequently and see if everything is properly secured or not. Even the best fifth wheel hitch could not do much if the towing vehicle is incapable of handling the trailer. Read the owner manual of your truck and see whether its towing capacity could match the trailer weight or not. There is nothing you can do except getting a new truck when your current one doesn’t have sufficient towing capacity. Don’t waste time and money buying a fifth wheel hitch for your truck if it’s unable to handle the trailer weight by itself. Before you head to the store, you have to figure out the loaded weight of your trailer first in order to select a suitable hitch. If the hitch is unable to support the trailer weight, it may break apart in the middle of the towing operation which is quite dangerous. In case you don’t know, GTW (Gross Trailer Weight) is the total mass of the trailer with fluid and cargo included. The GTW of a trailer is usually listed on its VIN plate and associated document though you could always contact the trailer manufacturer for a clear answer. 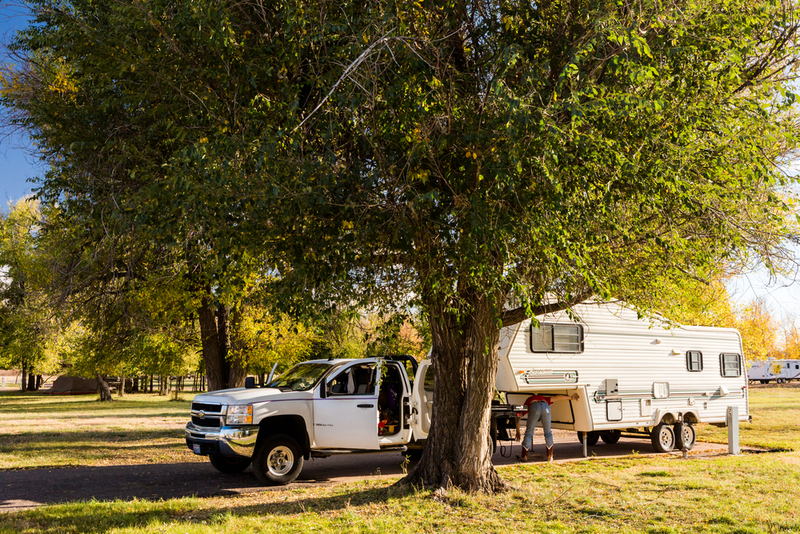 However, in several cases, experienced RVers have found out that the number listed by the trailer manufacturer is not the true weight of the trailer and more like an estimate. As a result, you should consider getting your trailer weighed at a public so you could obtain the precise GTW of the trailer. In conclusion, the best fifth wheel hitch for you must be a product that could handle the weight of your trailer comfortably. How to Make An RV Mattress More Comfortable?